Joliet Chapter 7 Attorney | Johnson & Johnson, Ltd. Trusted Joliet chapter 7 attorney. When you experience financial problems it can make life miserable. You are probably under a lot of stress and may not know what to do or where to turn for help. One thing you may want to consider is filing for bankruptcy. The two kinds of bankruptcy for individuals include chapter 7 bankruptcy and chapter 13 bankruptcy. Both offer a way to resolve debt and get creditors off your back. You can essentially get a fresh start. Bankruptcy can be complicated and you may have many questions. If so, talk to a Joliet chapter 7 attorney as soon as possible. The Joliet chapter 7 attorneys at Johnson & Johnson, Ltd. are here to help you through the process and relieve your debt troubles for good. Filing for bankruptcy is a big decision, so it is important to fully understand the bankruptcy process before deciding to go forward with bankruptcy. Your Joliet chapter 7 attorney will explain to you that chapter 7 bankruptcy is the most common type of bankruptcy. It provides a way to get rid of your current debt so you can start over. Chapter 7 bankruptcy generally requires you to liquidate your assets, so it is best for those who are unemployed or unable to make loan payments. If you are employed and able to make regular payments, then you may qualify for chapter 13 bankruptcy instead. Discuss your specific needs with a reputable Joliet chapter 7 attorney. Why File Chapter 7 Bankruptcy? 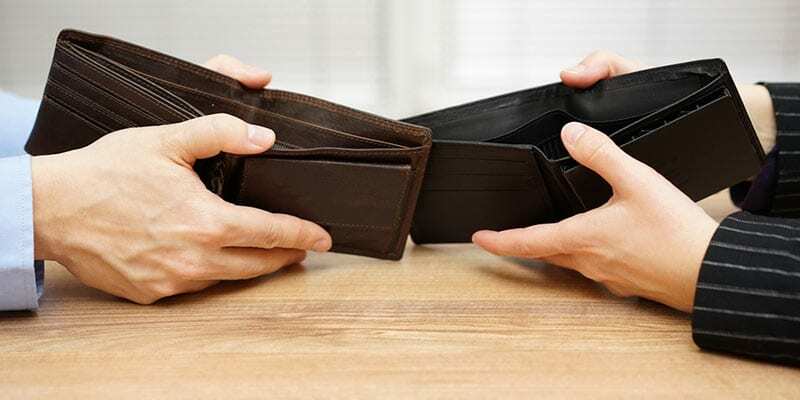 The decision to file bankruptcy is often a difficult one because of the negative stigma that you feel may be associated with it. Actually, today bankruptcy is more prevalent than ever before as more people are beginning to take advantage of it as way to get out of debt. If you are drowning in debt and do not have a way to resolve it, then chapter 7 bankruptcy just may be the lifeline you need to resolve your financial worries. Your Joliet chapter 7 attorney will help you achieve financial stability as quick and effortlessly as possible. When you file for chapter 7 bankruptcy you will be required to liquidate your assets in order to provide as much payment as possible to your unsecured debts. Your Joliet chapter 7 attorney will inform you that unsecured debt typically includes things such as credit cards, medical bills, vehicle repossessions, and foreclosure judgments. Chapter 7 bankruptcy allows you to greatly improve your financial situation so you can have a fresh start. The drawback to chapter 7 bankruptcy is that you could lose a great portion of your possessions. However, there are many reasons to go ahead and do so. Consult with a Joliet chapter 7 attorney to determine if this choice is best for you. Because bankruptcy is an important one, it should only be done after you fully weigh all of your alternatives. You want to make sure that you do what is best, not just for the moment, but also for your future. Sometimes bankruptcy proves to be the choice that will give you a better financial outlook. A leading Joliet chapter 7 attorney will work with you to evaluate the advantages and disadvantages to every option that is available. Chapter 7 bankruptcy can be confusing and should be completed according to the correct legal procedures with the assistance from a Joliet chapter 7 attorney. The bankruptcy process can be difficult, so you will benefit greatly with guidance from a Joliet chapter 7 attorney. The first step is to evaluate your finances. It can be a daunting experience to face all of your debt, but it needs to be done. With information regarding your assets, debts, and income, a complete evaluation can be completed. If you then decide to file chapter 7 bankruptcy, your Joliet chapter 7 attorney will assist in the details of the filing procedure. The actual filing for bankruptcy does not take long, and, upon filing, you will soon feel less stress as a result of your new financial beginning. Bankruptcy is a major turning point in your finances and can only be successful with the support of a capable attorney. When you need the legal services of a Joliet chapter 7 attorney, look to Johnson & Johnson, Ltd. With years of experience and a strong commitment to our clients, we have the expertise to get you out of your debt problems quickly and easily. We know you have questions and concerns and we are always happy to answer them for you. Contact our office today to schedule a consultation to learn more about chapter 7 bankruptcy from a Joliet chapter 7 attorney.